Purium Review – Scam or Legit MLM Business? Welcome to our Purium Review! Some say it’s a scam while others Purium reviews are saying legit so what is it? The good news is we are going to walk you through the company, products and their pros and cons so you can make the right decision. Purium Company which started in 1994 is a direct marketing company and sells weight loss products. 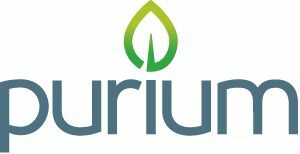 Purium offers products including the Purium Control Whole Food Meal, Herbal Fiber Cleanse and a 10-day Transformation kit. The products when on a daily basis can assist you to lose weight. The company was established by David Sandoval, a life style coach, wellness expert, whole-foods nutrition advocate, and the Chief science officer for Purium Health Products. The Purium 10 day transformation kit can detoxify and reset your metabolism and also proposes a formula that can change your life in exact 10 days. But, it sells at 200 dollars plus and also offers some freebies including a free tape measure and a shaker bottle. We did a review on another Heath And Nutrition Company here. Purium’s weight-loss kit comes with a meal-replacement shake, cleanse, fruit concentrates, amino acids and electrolytes. Thus, in 10 days, the body will have adopted a new method of burning and converting fat it into energy. The main ingredients in Purium products support hydration, build up and protect your muscles, and acts as antioxidant. The 10-Day kit will aid improve your body metabolism and reorient your body to metabolize fat and as an outcome. You will be able to attain sustainable and enhanced weight loss. Super CleansR and Super Lytes allow the cleaning process to be more effective and pleasant. Super Lytes helps in boosting hydration and Super CleansRassists helps with elimination. Thus, these 5 Purium supplements are essential. Take your Apothe-Cherry, Super Amino 23, Power Shake, Super CleansR and Super Lytes for ten days daily. The products in Purium contain pure and high quality ingredients that aid to lose weight and enhance your body metabolism. Some of the chief ingredients used in the Purium Products include: Apothe-Cherry that is full of antioxidants. As a result, you can acquire proper rest and recharge your body each night. Purium’s Power Shake is a naturally sweetened mixture of oat grass, alfalfa, wheatgrass, spirulina and complex carbohydrates that can supply necessary nutrients to your body while suppressing your appetite. The products of Purium are easy to use. You just need to follow the instructions labeled on each package. They should be taken on a daily basis. Purium does not provide any scientific proof to show that this product will work positively. It may cause unpleasant side effects. The major concerns are with SuperLytes and Super CleansR that can be dangerous for some individuals. Some of the Purium side effects include vomiting, nausea, diarrhea, high blood pressure, stomach upset, mood swings, mental disturbances, bad dreams, cramps, kidney disorders, thirst, and allergic reaction. The health products of Purium claim unrealistic weight-loss numbers and more so they’re overpriced. Putting into consideration the high cost and lack of scientific proof of any real weight loss claims, most probably you need to think twice before purchasing these Purium products. Note that there isn’t anything generous about a free drawstring gym bag, a tape measure, and a shaker bottle when the product package is priced a whopping $290.